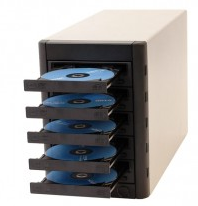 Write up to five DVDs at a time- or record different data on each individual drive - at blazing speeds with the all-new Microboards Multi-Writer DVD Tower! 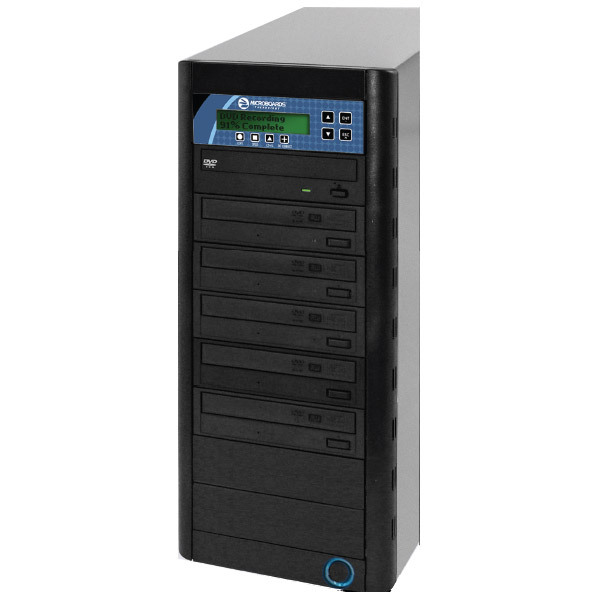 Unlike the traditional line of CopyWriter towers that allow the copying of one master disc to a number of blank discs, the Multi-Writer is a PC-connect system that records data directly from the PC to all five combo drives. Utilizing an eSATA cable, the Multi-Writer records DVDs- as well as CDs -of almost any format at top speeds. 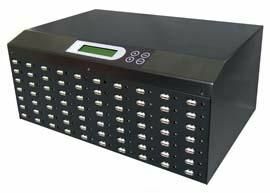 The Multi-Writer features the very unique ability to record the same data or different data to each of the five drives simultaneously. The Multi-Writer includes Zulu2 Disc Mastering software, making it easy for you to select files to record, save and retrieve jobs, and perform other mastering tasks. The Multi-Writer is compatible with Windows XP, Vista (32bit & 64-bit) and Windows 7 (32-bit & 64bit). Hard Drive Requirements- Your PC should have 2 or more hard drives required for simultaneous recording of multiple images.